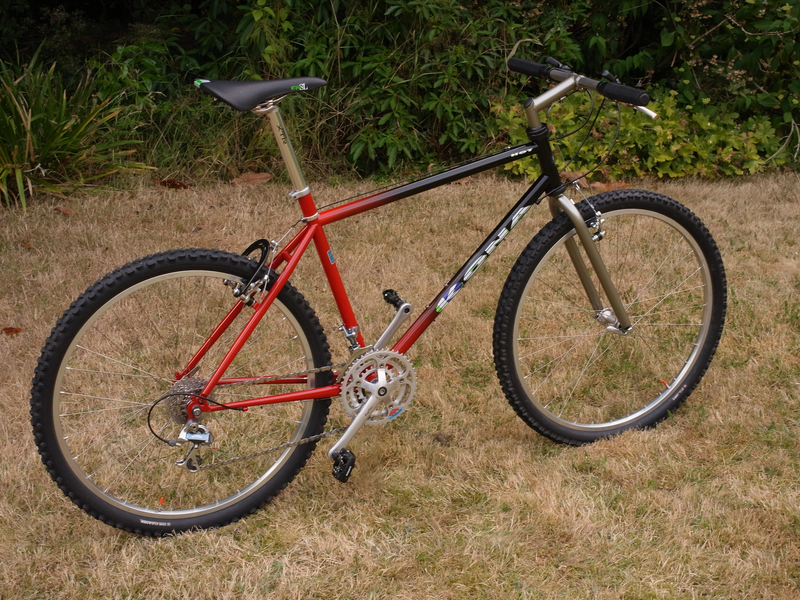 This bike belongs to Sándor Ambrus in the UK, it completes a trio of amazing retro Kona hardtails, his original 91 Kona Explosif that he’s had since new, and a recently completed Kona Hei Hei (more on that one later). As with all Tom Teesdale TET frames, it features its own unique serial number. The bike was found for sale in the USA on one of the bike forums. I remember waking up, one early Sunday morning, checking my phone and staring at the two-tone frame from 1993 in disbelief. Then, after messaging the seller, getting up and running into the garage to see if the reported dimensions checked out with my 19” Explosif (since the seller had no idea of the exact size) then running back in before the sale passed. It was 19”. 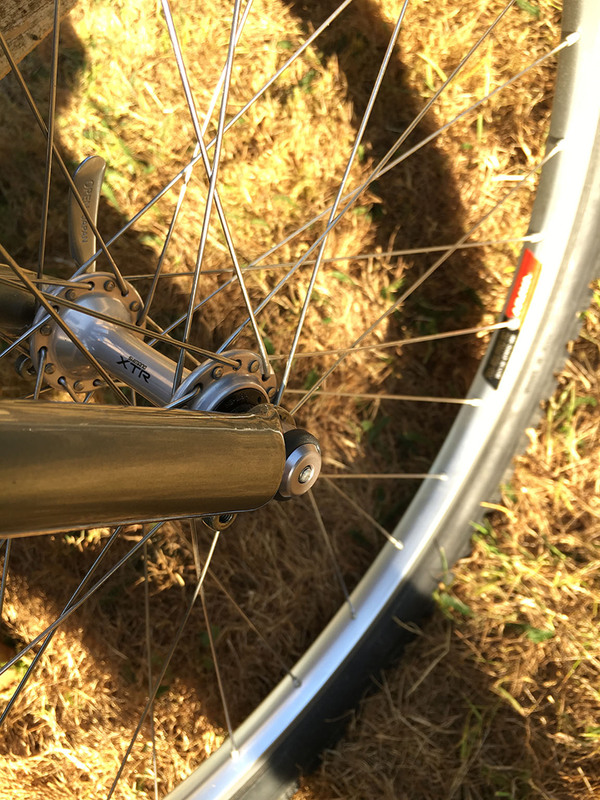 It arrived in the UK with a variety of later 94 parts, including the velocity stem, fork (suspension corrected) and control center headset. 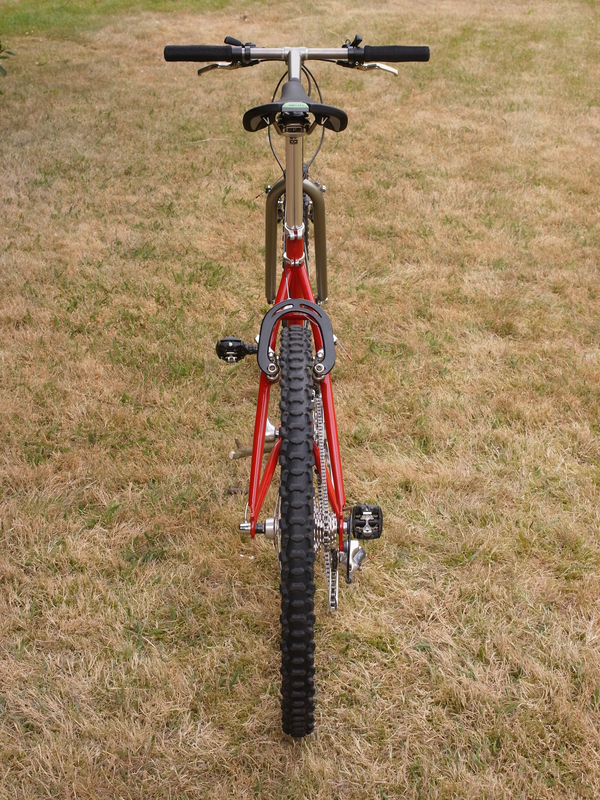 The rear triangle was badly damaged. 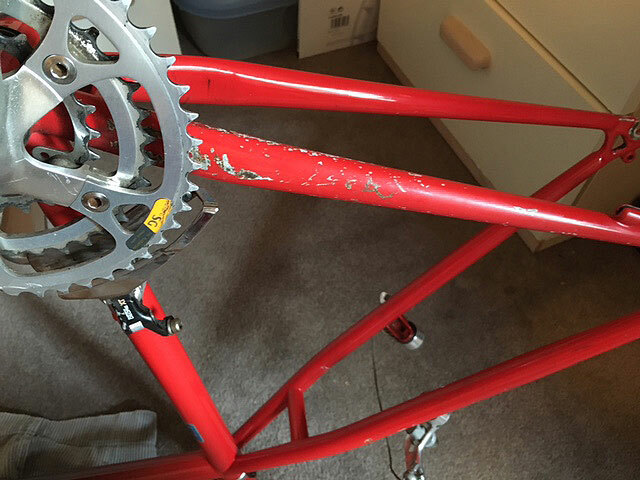 I knew the value of a Tom Teesdale frame was in it’s custom paint. 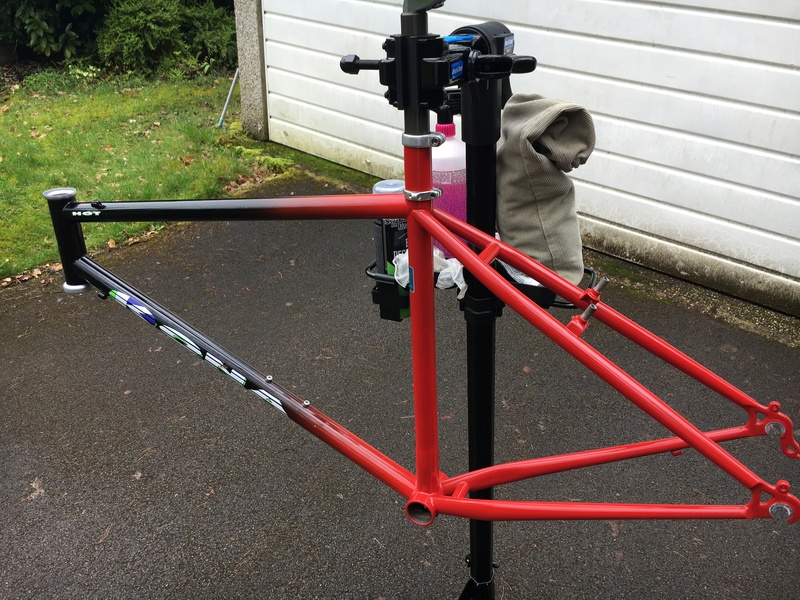 After T-cutting the frame, a lot of the scratches came away, and I weighed up the decision whether to clear gloss coat lacquer over the badly chipped rear triangle to have the paint expertly filled in. Reservations were that the red was not a normal fire-engine red but a pink-red with a lot of vibrancy. Upon advice, I took it to Ooey Customs in Hampshire, who paint a lot of team road race bikes. The match was spot on. 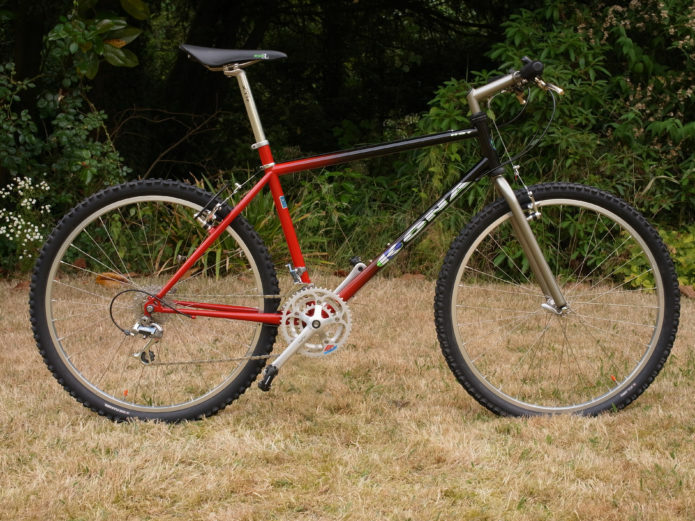 I later found an old Cindercone and had the forks and stem repainted as well which is within the pics. The components, I knew exactly what I wanted, which was the deliberate mix of Deore XT and M900 XTR parts in homage to the 93 Explosif. I love the Araya RM400 XC PRO, which match the frame, the Joe Murray Horseshoe and the Racelite Ti Bar which just adds further to the build. 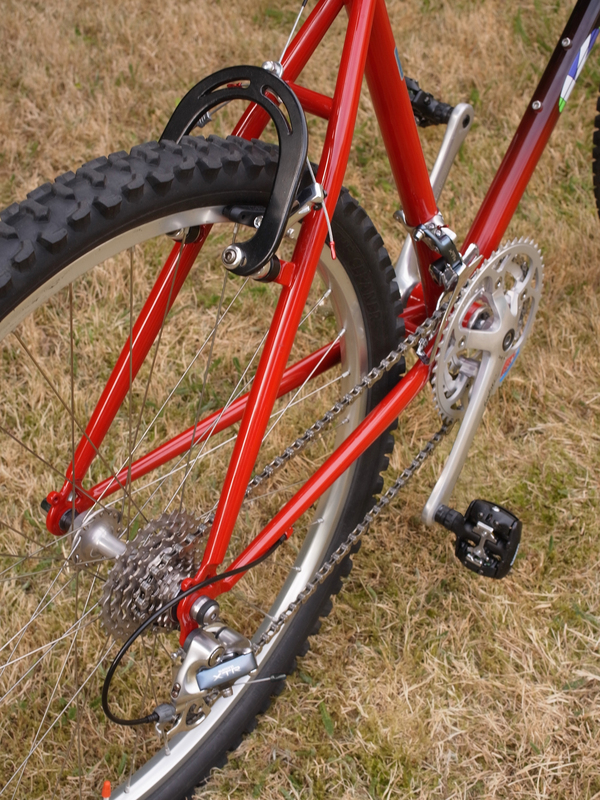 The hardest part was finding the factory spec Sugino Mighty XP Cranks completed with NOS Supershifter chainrings. 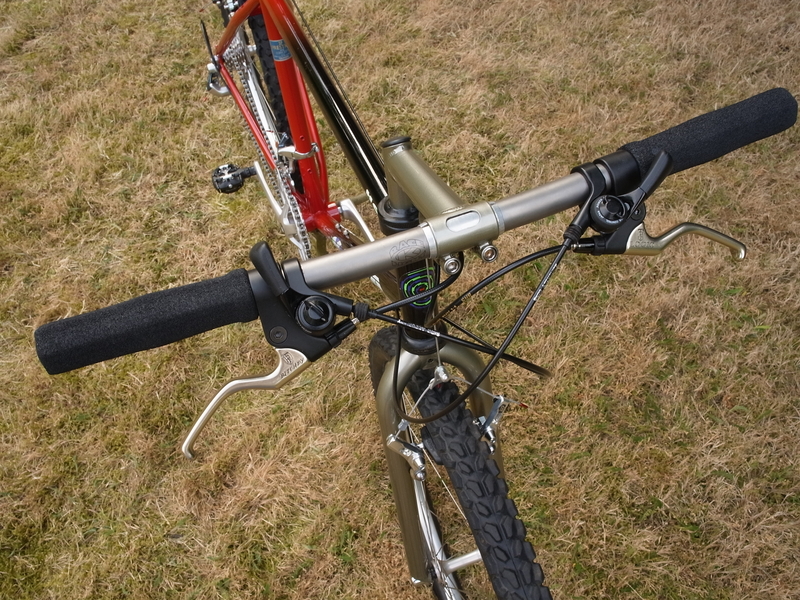 Since taking these photos, the build has developed further and now has new old stock Deore XT thumb shifters fitted, together with an original 93’ P2 fork and an original chrome velocity stem that the US Edition Kona Hots came with.